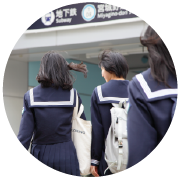 Each student plays a leading role at Tokiwagi Gakuen. 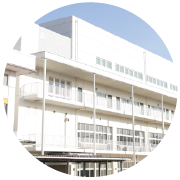 For those of you who have a dream for the future and actively pursue this every day, and for those who are still looking for your dream, Tokiwagi Gakuen offers various stages on which you all can shine. Come join us and develop from a girl into a lady, making the most of each day and enjoying every step of the journey. 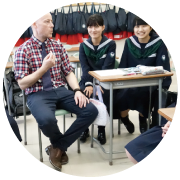 Extensive exposure to living English enables you to develop as a human resource capable of excelling in our globalized world. 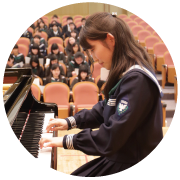 Aims to develop musicians active on the global stage. 20-minute walk from Sendai Station. Easy to commute.